If you have a home in the Hastings-on-Hudson area of New York, it's important to you to have an air system that operates well during all seasons of the year, especially winter time. Cold weather can chill you to the bone, and there's nothing like being able to come indoors to enjoy some warmth. We use our air conditioners as well during warmer months, which help to cut down on our humidity levels in the home. But many homes may have older systems or no central air systems at all. Homes with no central HVAC system can be fitted with several modern options that don't necessitate the installation of ductwork. In older times, this would be the window air units and stand up or wall heaters, but today you have other options like the mini-ductless air system that provides both air and heat. Boilers heat your air fast and are favored for our area because we need to quickly and efficiently provide enough heat in weather that regularly drops below freezing during cold months. Your heating system needs to be sufficient for your home and it should be in good repair. Sooner or later, old units need replacement, but until then repairs can be made. As long as it's more cost effective to repair, you're going to want to keep your unit running well. Our expert heating contractors at Nu-Way Air Conditioning & Heating can take great care of your heater. No matter what type of heating system you need or have, we're able to repair, replace, or install new heating systems. We've been servicing homeowner HVAC systems in Hastings-on-Hudson since 1984, which means you'll have experts by your side who knows the climate, knows the systems common for our area, and knows all the building codes required. For experienced contractors, call the experts who will fix it right the first time! If your Hastings-on-Hudson home's air conditioner is in need of repair, call on our Hastings-on-Hudson HVAC contractors here at Nu-Way Air Conditioning & Heating. We can service any make or model air conditioning system you have. Whether it's nights, weekends, or holidays, our HVAC Contractors are standing by to help you. Our 24/7 emergency services are only a phone call away. We can help you with regular services as well including air purification and air quality control, humidity control, and more. Plus, we provide expert services like duct cleaning. We take a whole home approach to ensure you're comfort in your home. 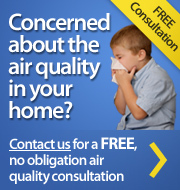 And doing this means we do everything we can to give you superior air quality that includes temperature control. When your HVAC system needs attention and you want the most for your hard earned dollars, call Nu-Way Air Conditioning & Heating! If you're looking for a Hastings-on-Hudson HVAC contractor, then give us a call today at 914.777.5030 or complete our online request form.